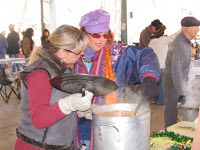 Once again Manitou Springs comes through with another fun local event… it’s annual Mumbo Jumbo Gumbo cookoff and Mardi Gras Carnivale Parade. Come out to witness fabulous chefs compete with each other, armed only with crucial ingredients and their secret recipes! Gumbo begins cooking at 8:00am. Public tasting will follow the judging (10:45am) 2 tasings for a dollar! 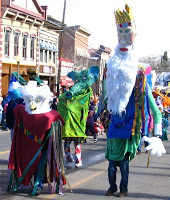 The always entertaining Mardi Gras Carnivale Parade takes over downtown Manitou Springs following the cookoff. Need lodging while you’re here for the big event? Rocky Mountain Lodge & Cabins is located just 5 miles west of Manitou Springs in the beautiful mountain community of Cascade. Consider staying in our Colorado Bed and Breakfast Lodge, or one of our Colorado Cabin Rentals.